Mental health is strongly impacted by pollution. Now there is more research revealing the possible connection between mental health and pollution. Research into mental health revealed places with higher pollution prescribed higher levels of psychiatric medications, and potentially opens the door for technology to fill the void. An article in Live Science pointed to the clear connection between poor air quality and mental health. The research was completed by a team in Sweden that focused on the impact on teens and kids. While comparing places with higher pollution to those with lower pollution, researchers found those with higher levels of pollution dispensed more psychiatric medications, which potentially has some connection to overall mental health of a region. “The results can mean that a decreased concentration of air pollution – first and foremost, traffic-related air pollution – may reduce psychiatric disorders in children and adolescent,” said the lead author, Anna Oudin, in a statement. 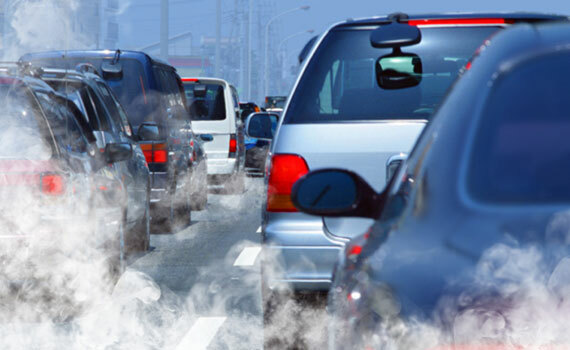 The actual rate of increase in psychiatric medications, often connected to mental health conditions, was increased by nine percent with every 10 microgram per cubic meter increase in nitrogen dioxide. One possible explanation for this is that the increased pollution causes inflammation and oxidative stress. The study does not indicate a clear cause-and-effect relationship between psychiatric disorders and air pollution, explained Dr. Len Horovitz. Dr. Horovitz is a pulmonary specialist at Lenox Hill Hospital in New York City. Another possible explanation for the changes in the amount of dispensed medications comes from the location of the study and the prevalence rates of a mood disorder called seasonal affective disorder (SAD). SAD is very prevalent in Scandinavian countries. With the increasing levels of pollution through the world, it is driving a timely need for different solutions to mental health conditions outside of traditional medications. Now there is a paradigm shift in mental health thanks to support from the National Science Foundation that helped to spark the beginning of Prevail Health. The unique social enterprise, Prevail Health, was founded by a former Navy F-18 pilot, Richard Gengler, about ten years ago. Going through a rigorous validation process in collaboration with the Department of Veterans Affairs, Prevail demonstrated that its technology is just as effective as traditional face-to-face care, but for a fraction of the cost. Now serving tens of thousands of people over the years, Prevail is poised to provide the needed mental health care to the countless people around the world battling mental health conditions whether because of seasons, pollution, or any other cause. Interested to find out more about Prevail, or want to try it for yourself? Now it is available to provide a dynamic, personalized experience for you.